The culture of collaboration is strongly established in the city of Barcelona, particularly since the mid-80s. In those years, the municipal government formulated an ambitious program of urban transformation linked to the celebration of the Olympic Games in 1992. The government of the city realized that the development of that project was only possible through the complicity and collaboration of other governments (local, regional, national…. ), private business and civil society organizations. Collaboration was conceived, and continues to be, as a key strategy for resource mobilization and to build legitimacy around urban policies in the city. In the specific field of citizen participation, Barcelona stands out as a city with very significant levels of social activism. Neighborhood associations are a key player in the neighborhoods. There is a myriad of social and cultural Third Sector organizations all across the city. The no-global social movements were very strong between the 90s and the beginning of the new millennium. 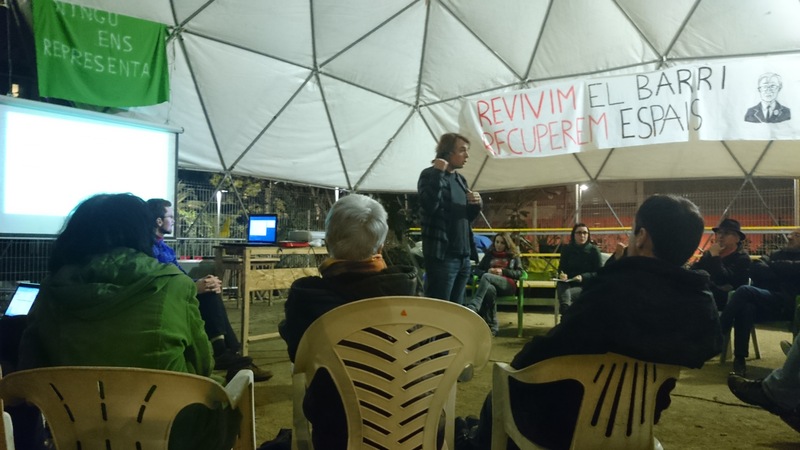 Social potests against austerity policies have been very intense, particularly since the emergence of the 15M movement in 2011. Practices of social and cooperative economy are very strong in several districts of the city. In short, Barcelona is a city with a strong collaborative and participatory tradition. Institutionally, this tradition is reflected and reinforced through the creation of numerous devices such as public consortia, public-private capital companies, metropolitan bodies and a host of thematic and territorial participatory mechanisms. In the specific field of formal participation, the City Council has implemented since the late 80s numerous mechanisms such as consultative forums at district and city levels, community development plans, citizen agreements in the field of social inclusion and environmental sustainability, and participatory processes for the design of urban redevelopment projects. The trajectories of collaborative and participatory governance in the context of the crisis are heavily conditioned by existing traditions and institutions. In this sense, the new conservative government of CiU has tended to assume and manage the political and institutional legacy of over 30 years of progressive governments. Formal structures of citizen participation remain fundamentally unchanged. However, the current government shows very skeptical with these structures, as it tends to see them as spaces of counterpower controlled by social organizations aligned with the previous government. Some actors (like some of the parties that supported the previous government) are very critical of what they see as a process of increasing residualisation of these mechanisms. However, the social movements themselves are very critical of the advisory nature of these formal structures of public participation and of their limited capacity to influence public decision making. Despite these criticisms, formal participatory institutions are almost unchanged. However, significant changes are observed both in the field of discourses and practices. With regard to discourses, we observe a proliferation of new concepts such as transparency, open government, smart cities and social innovation -concepts that are used in very different and even contradictory ways by the government and social movements. With regard to practices, the crisis has led to the emergence of a large number of citizen participation and collaboration initiatives driven by the citizens from below. Using the terms proposed by the Transgob project, we might preliminarily conclude that the dominant pattern in the field of formal structures of participation is continuity (although there are some signs of retrenchment); however, in the field of discourses and practices is where we see the most intense changes, with signs of reformulation and strengthening of participation.